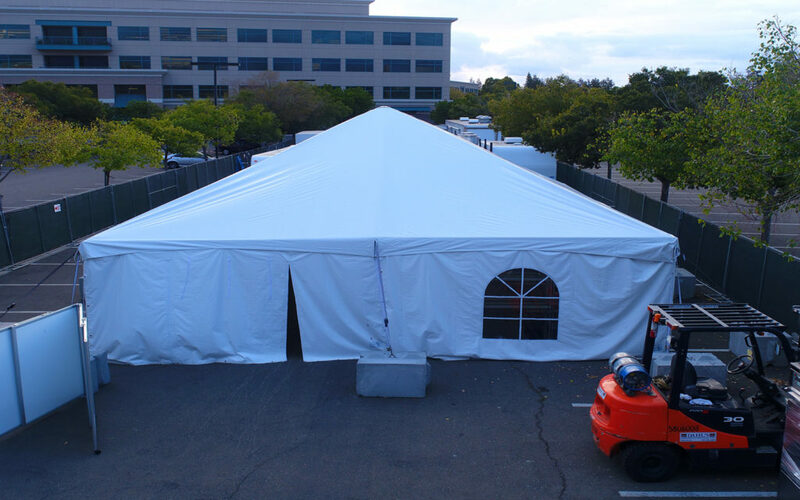 We have commercial tents that are perfect for outdoor structural buildings nationwide! Our dining hall tents are used together with our mobile dishwashing trailer, temporary kitchen trailers, and refrigeration containers. Our tent buildings are usually rented for 180 days or less as most states building departments only allow such time frame. 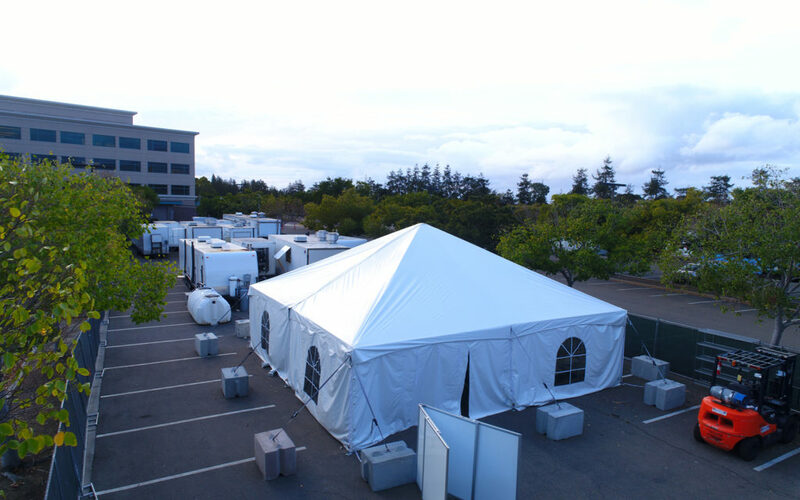 There are a number of fabric, metal and vinyl canvas tenting options depending on your choice. Ths metal or tensioned fabric structures are carefully designed to stand against strong winds, snowstorms, and seismic loads, just like a traditional building structures. Truly, both metal and fabric tents are engineered for tough weather conditions. 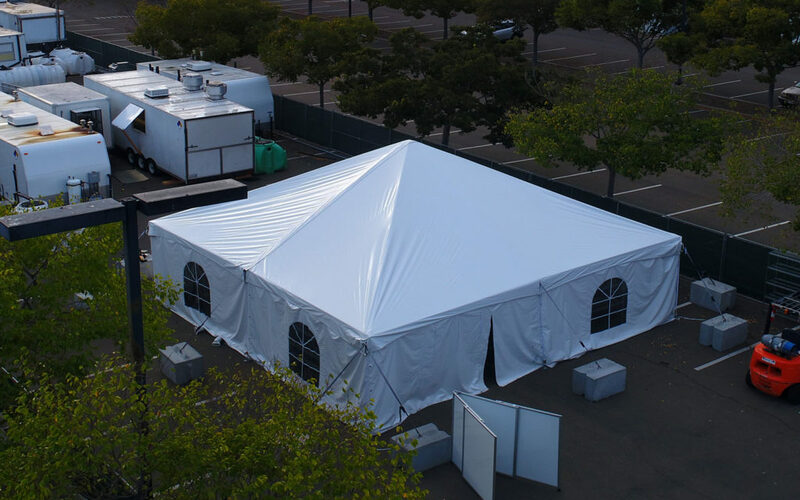 Our dining hall tents are specifically engineered so they do not need traditional foundation in most United States weather zones.